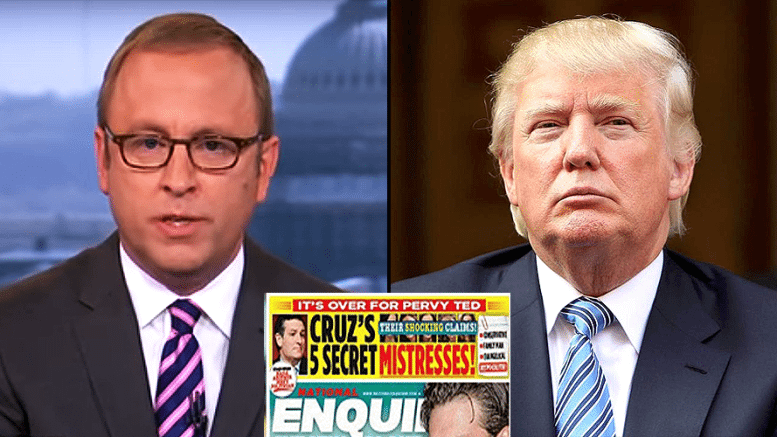 ABC’s Jonathan Karl interviewed Donald Trump on Sunday, opening the conversation with a question about the National Enquirer story that alleges Cruz has had multiple affairs with many different women since he’s been married to Heidi. 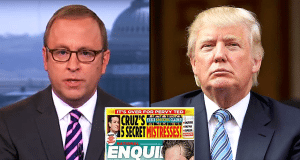 Karl asks, “Do you categorically guarantee that nobody on your campaign, nobody tied to you campaign, had anything to do with this National Enquirer story? Karl tries to take it a little further, asking Trump “should this kind of thing just be off limits, do you condemn this story?” Trump replied, “I don’t care, I mean really, I don’t care. The National Enquirer did a story, it was their story, it wasn’t my story. It was about Ted Cruz, I have no idea whether it was right or not. They actually have a very good record of being right but I have absolutely no idea.